Home Unlabelled Is now the time for emissions management? One of the reasons why spend management professionals use much of their time to implement policies is that they want to ensure their companies' production rates do not exceed designated budgets. In regard to this practice, has there ever been a subset of procurement or expense management that employs protocols designed to restrict emissions output? Regardless of whether company leaders are genuinely concerned with the enterprise's environmental impact or consumer sentiment, organizations are beginning to pay close attention to how their operations negatively affect the globe. Granted, not every entity is particularly pleased with federal regulations, and some are doing whatever they can to combat these mandates. According to The Associated Press, Mississippi regulators and utilities released comments stating that the U.S. Environmental Protection Agency's Clean Power Plan was illegal, impractical and incredibly costly. The EPA Clean Power Plan, which is expected to be finalized in 2015, would obligate Mississippi's power plants to reduce their carbon dioxide output by 38 percent in 2030 from 2005 levels. Electric Power Associations of Mississippi CEO Michael Callahan maintained that the CO2 emission goals are "unreasonable, unachievable and unfair." Many of the state's power plants already generate electricity via natural gas and nuclear energy, which have been deemed as cleaner sources of energy. Mississippi officials have stated that reducing emissions levels will be much harder in that the state's green power potential is generally lackluster - it wouldn't be feasible for either consumers or utilities to construct wind turbines, for example. While the oil industry has proven profitable for both the U.S. and Canada, the sector receives constant scrutiny from environmental advocacy groups committed to holding organizations accountable for their emissions output. While the Canadian government has been pressured to implement mandates that would require its oil and gas sector to make tangible efforts to reduce carbon output, the nation's Prime Minister Stephen Harper maintained that its decision will depend on whether or not the U.S. will take the lead. "We want to see oil and gas regulations on a continental basis given the integrated nature of this industry," said Harper, as quoted by IndustryWeek. "With the current conditions in the oil and gas sector, this government will not consider unilateral regulation of that sector." 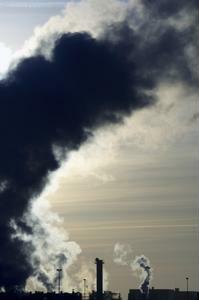 As of right now, Canada's oil and gas sector accounts for 25 percent of that nation's emissions.